The stage was set, the weather much nicer than the previous days had given us, and the crowd came pouring into Stir Cove at Harrah’s Casino. The lineup was something straight out of 2005 and almost too good to be true. The crowd jumped and danced as The Social Animals took the stage playing a short set to warm up the audience before the following acts. As the sun went down and the night went on the time quickly came for the All American Rejects to take the stage. Singer Tyson Ritter took the stage with his witty comments and comedic punchlines. The band played hits such as Move Along, Dirty Little Secret, and Gives You Hell and left the crowd in awe and excitement as the lights flashed and the night went on. Finally the moment everyone (myself included) had been waiting for arrived. 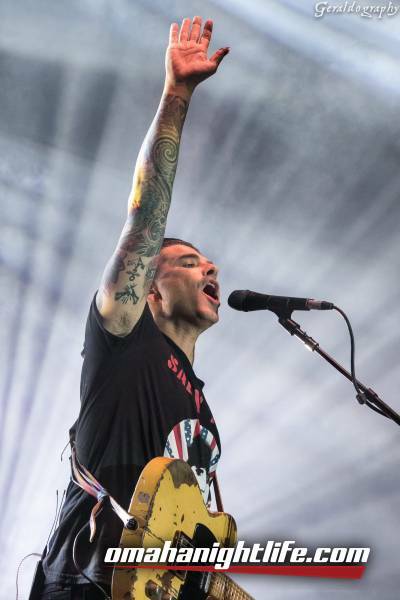 Chris Carrabba and Dashboard Confessional took the stage. I myself had never been granted the opportunity to witness Dashboard Confessional perform their hits such as Vindicated, Stolen, and Hands Down. The band played for what seemed like no time at all and as people began to leave the venue I couldn’t help but think that the performance was one of the best I had ever seen.